Our Team - Overly Construction, Inc.
Dennis has been in the construction industry since 1976 while he earned his Bachelor of Science degree in Industrial Construction Management from Colorado State University. He arrived in Telluride in 1986 and established Overly Construction in 1989. His experience in construction includes the erection of bridges, engineered steel buildings, pre-cast concrete structures, historic renovations, townhomes, and wood frame homes. This greatly varied experience contributes to his ability to properly manage the complex homes that he is building today. He has specialized in the custom home market since 1986. He serves on the San Miguel County Board of Appeals and the Town of Mountain Village Board of Appeals. He has served on the Aldasoro Design Review Board. His interests include spending time with his family, kayaking, and skiing. 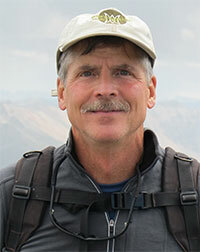 Tom arrived in Telluride and has been working in the area since 1992. Tom graduated from Mid-Plains Vocational-Tech school in 1980. Prior to moving to the Telluride Region, Tom owned and operated a small construction company in Nebraska for over 12 years. You can find Tom spending time with his family and skiing when he is not on the job. John has lived in Telluride since 1972 and has been working with Overly Construction since 1999. He holds degrees in Political Science and History. John has been involved with the custom homebuilding market in the Telluride region since 1973. John enjoys spending time with his family and snowboarding. 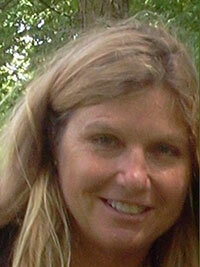 Carole moved to Telluride in 1980 and has worked at Overly Construction since 1993. She has a degree in Geology from Colorado State University. Over the past ten years, Carole has enjoyed watching Overly Construction grow and has helped greatly with its progress. She enjoys spending time with her family as well as skiing, hiking, and biking. Communication is excellent and forthcoming regarding all issues - particularly in anticipating potential problems (and solutions). I value their follow-up and project management skills to ensure that the work met their (and my) high standards.